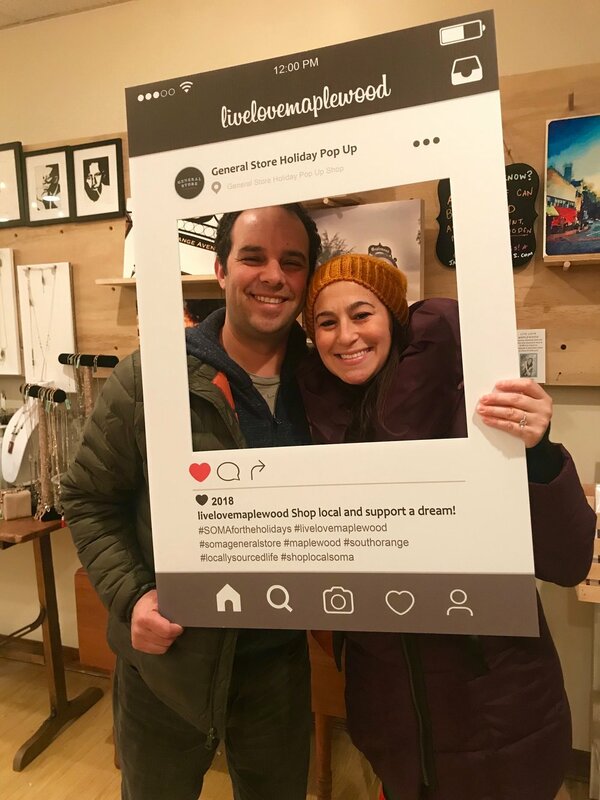 It’s been an amazing week since the General Store Holiday Pop Up opened! We have sold lots of @livelovemaplewood calendars (<— order here online! ), Instagram collages, magnets, and artwork. The General Store hosts 60+ artists and small businesses from Maplewood and South Orange, NJ and surrounding towns. Located at 14 South Orange Avenue, the shop has tons of amazing gifts and goodies, and interactive experiences and events too! It’s the brainchild of Work and Play’s Amy Howlett and Deborah Engel (pictured below), who have worked incredibly hard to put this unique boutique together for the community. 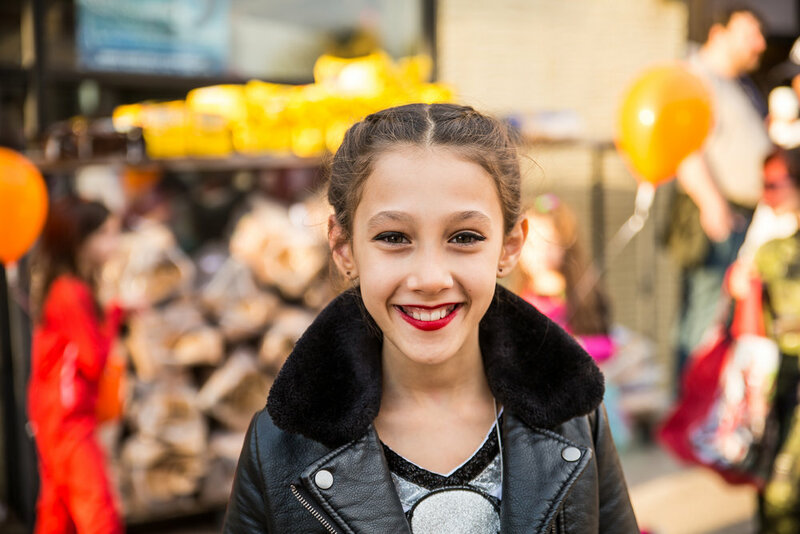 In the week since it’s opening, there have been workshops with Mrs. Meshugga hand lettering, family photos with Photo Booth Studios, tastings with Kreme + Krumbs, Three Daughters Baking Company, and SOMA Brewing Company, and charity partnerships with Jespy House and Take the Cake. The shop will be open through Dec 24th - check here for the latest hours and events. Live Love Maplewood comes to local Holiday Shops! I’m super excited to offer brand new items for this season: a 2019 calendar, note cards, magnets, and collages - all featuring imagery of Maplewood + South Orange, NJ. They make great gifts, or pick something up for yourself! 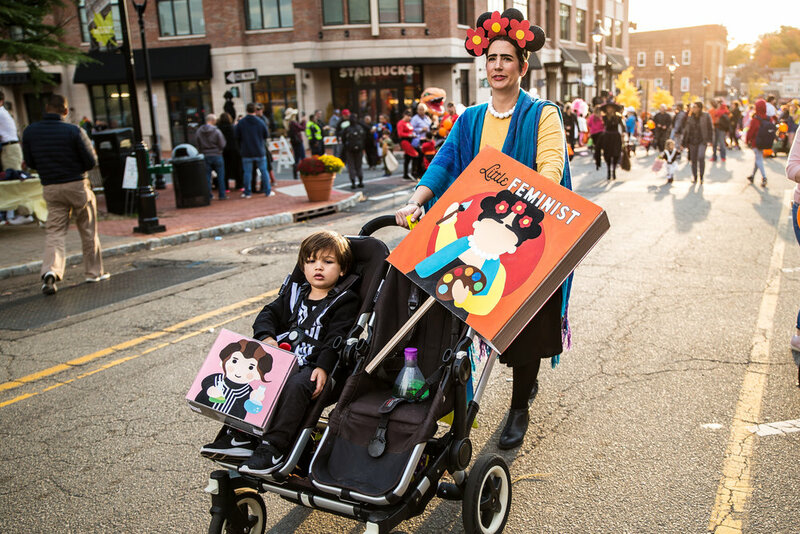 Witches, fairies, super heroes, princesses, hot dogs, dinosaurs, Day of the Dead, unicorns, pandas…and more unicorns…and more Day of the Dead (Coco = 2018 Influencer!). 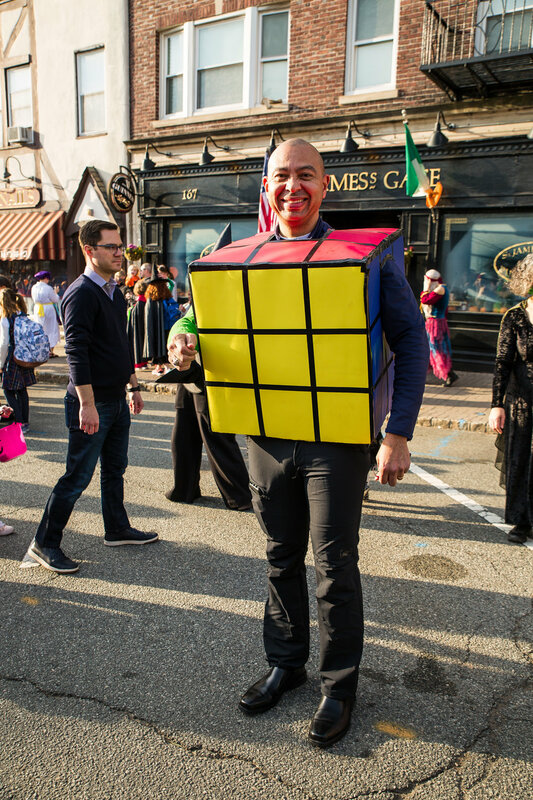 Maplewood, NJ Halloween is always AMAZING. 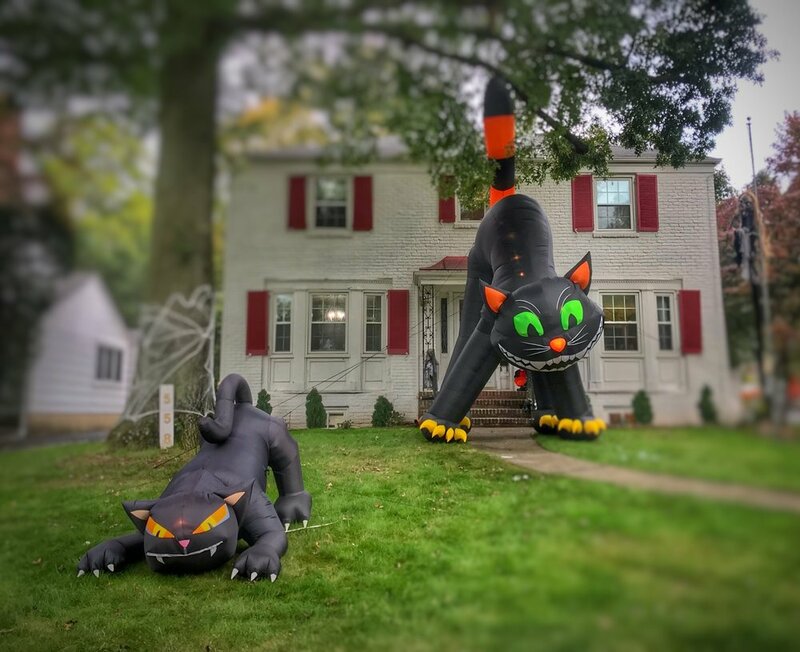 Halloween Houses of Maplewood, NJ + South Orange, NJ! 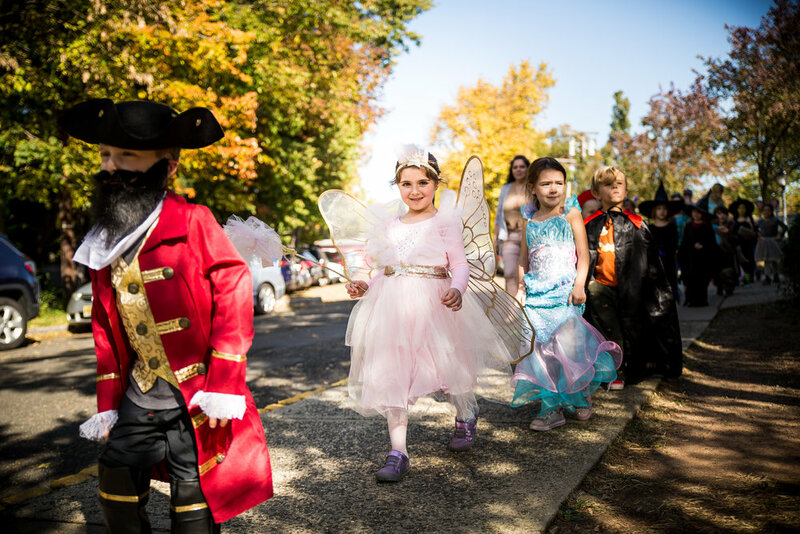 Halloween does not disappoint in Maplewood and South Orange, NJ! 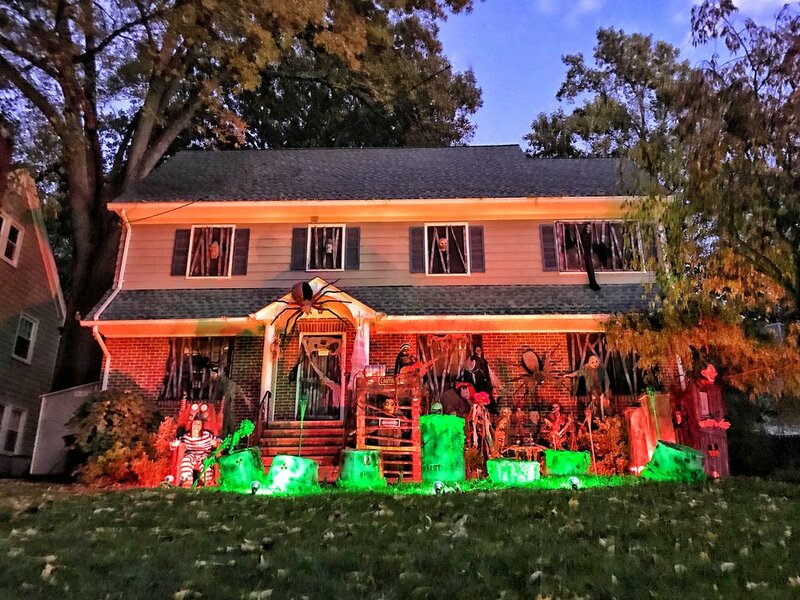 Here are our favorite Halloween Houses from @livelovemaplewood in 2018. And we’re back!! Brief #SOMAWESOME hiatus for no other reason than being super busy! That break is over and we’re resuming our weekly posts - there are just so many incredible people here that need to be shared with all of YOU. Music Initiative (VPMI) of the Achieve Foundation (@achievefoundation), supporting music programs in our public schools. SOMA Brewing Company presents their $7,500 donation to the Vanessa Pollock Music Initiative. It’s the most wonderful time of the year! 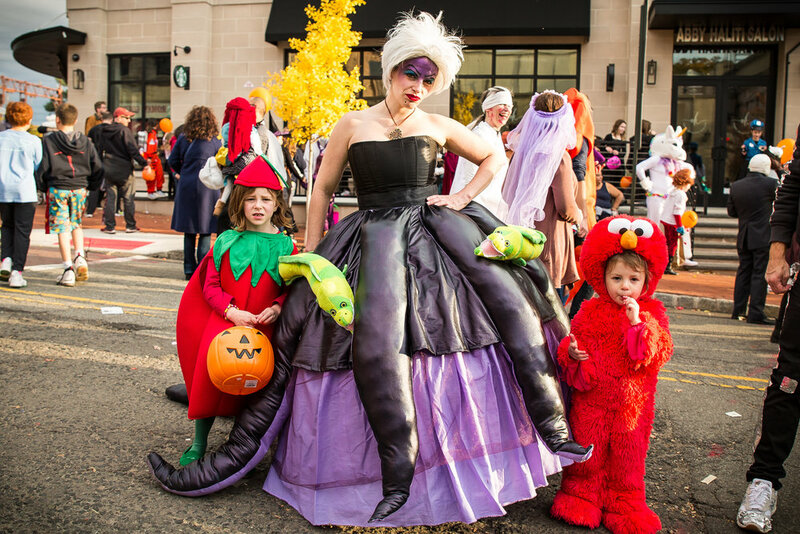 Halloween is BIG in Maplewood and South Orange. 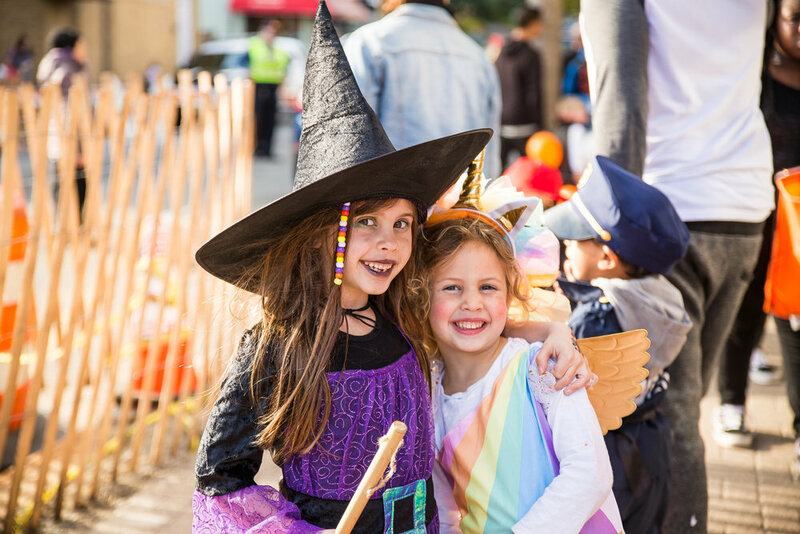 There are creatively decorated homes, hours of trick-or-treating, neighborhood haunted houses, spooky art installations, festive school parades, and lots of downtown fun. It’s almost a full day affair. 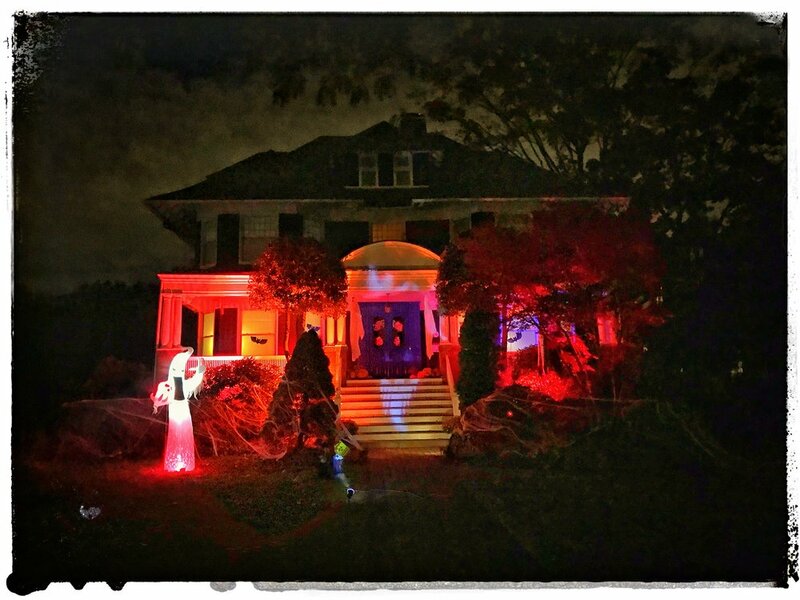 This is a crazy haunted house on Halloween with lines of kids from all over town! 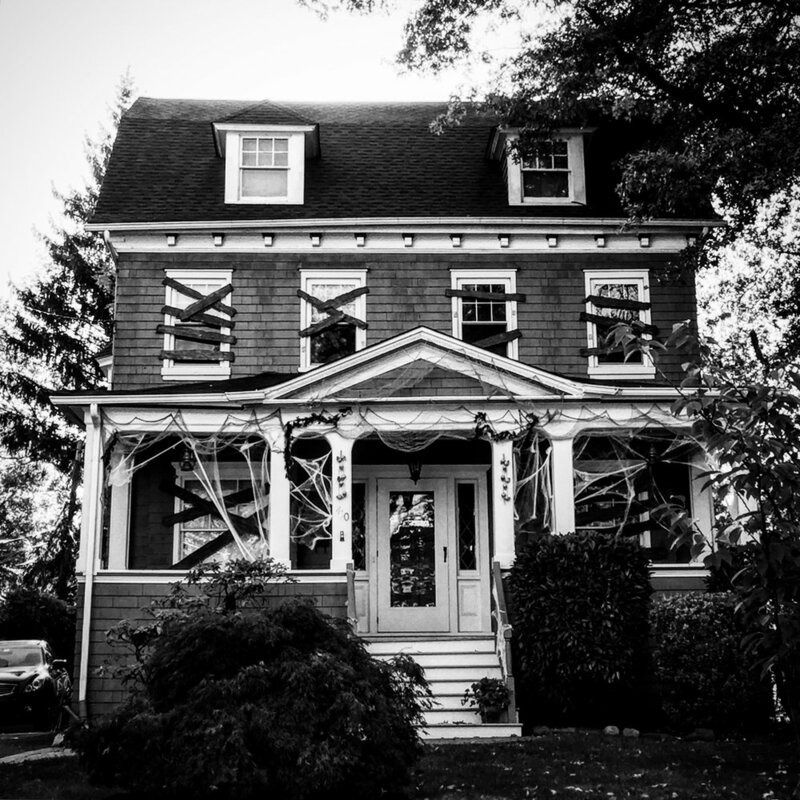 One of our favorites things is to chronicle these imaginative “Halloween houses” on our Instagram feed. Many of these festive displays are created by inhabitants who work in the art and design fields. The unique decor mixed with the local architecture and crisp fallen leaves make for some epic photos. 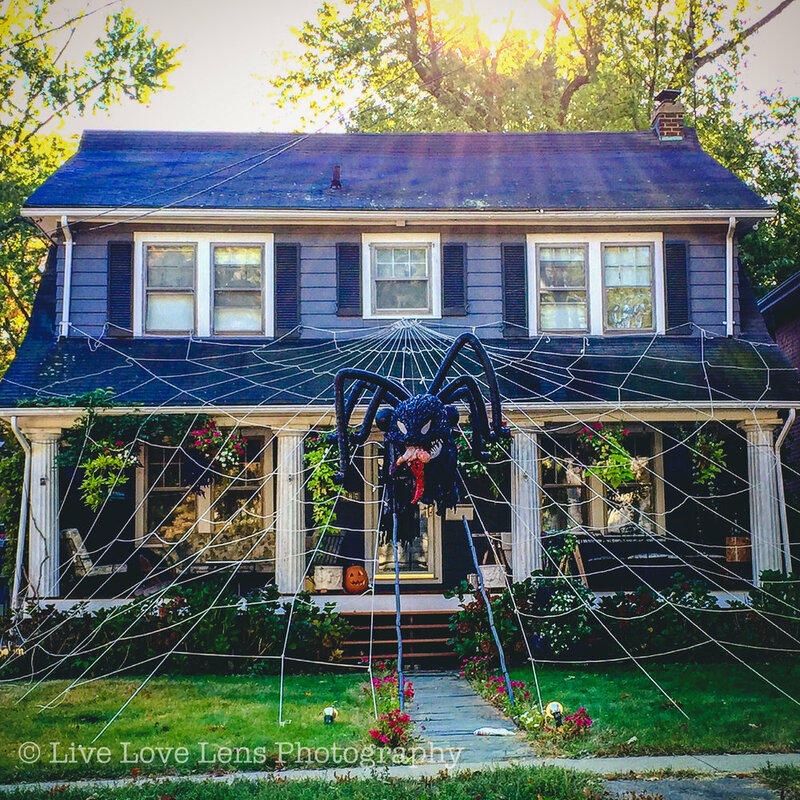 The famous spider house of Maplewood! One year the spider was eating Trump. It was a beloved by many, to say the least. Other times the spider has had a baby dangling from its mouth. It’s weird but people love it. 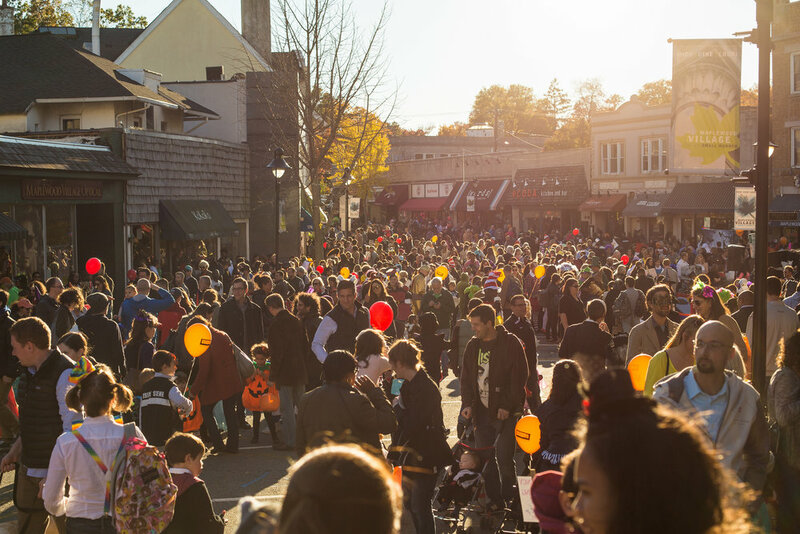 USE #MAPLEWOODHALLOWEEN WHEN POSTING ON INSTAGRAM! 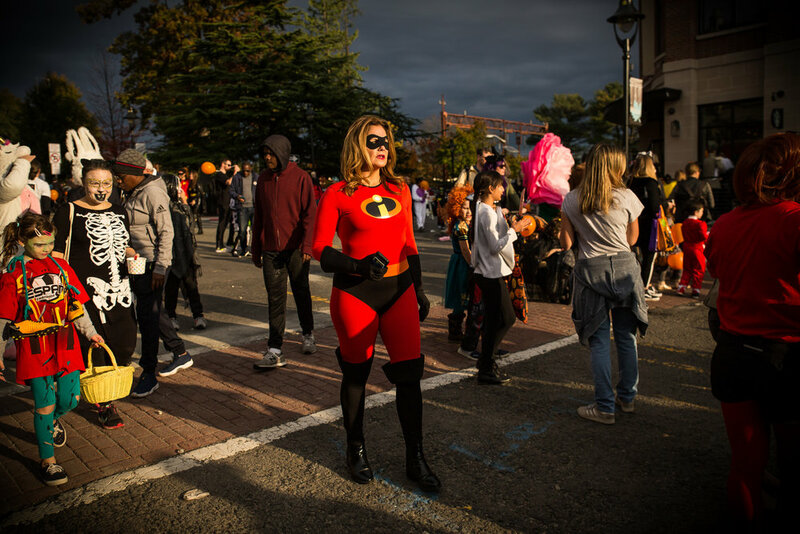 WE'RE BLOGGING ABOUT MAPLEWOOD + SOUTH ORANGE, NJ! We have a blog! 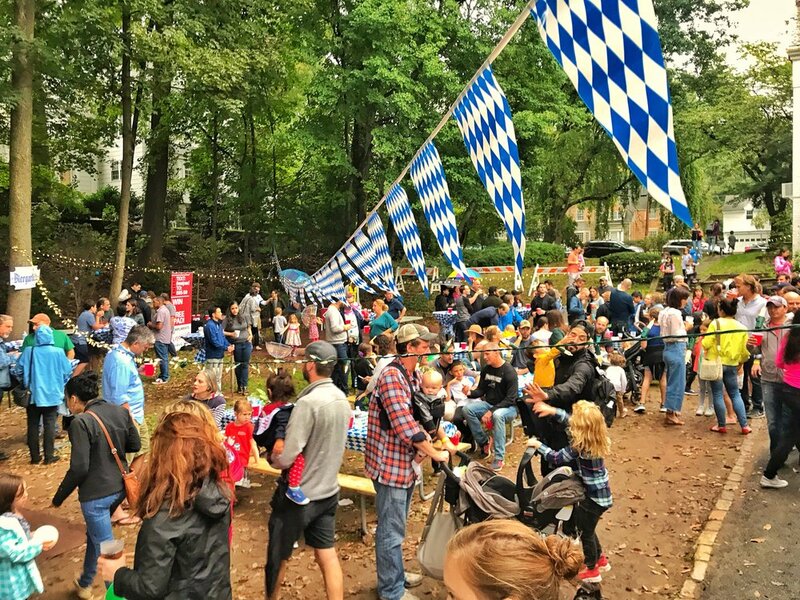 In addition to our @livelovemaplewood Instagram feed, we are now blogging on the world wide web. It’s about time. We’ll be posting lots of local photos (obviously!! 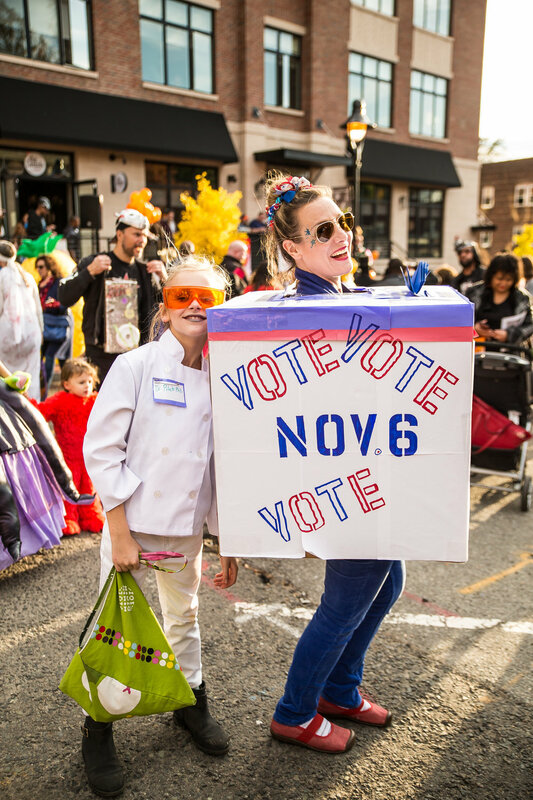 ), info about local businesses, our popular #SOMAWESOME posts, and fun seasonal stuff like our famous #MaplewoodHalloween pics! Lots to look forward to! 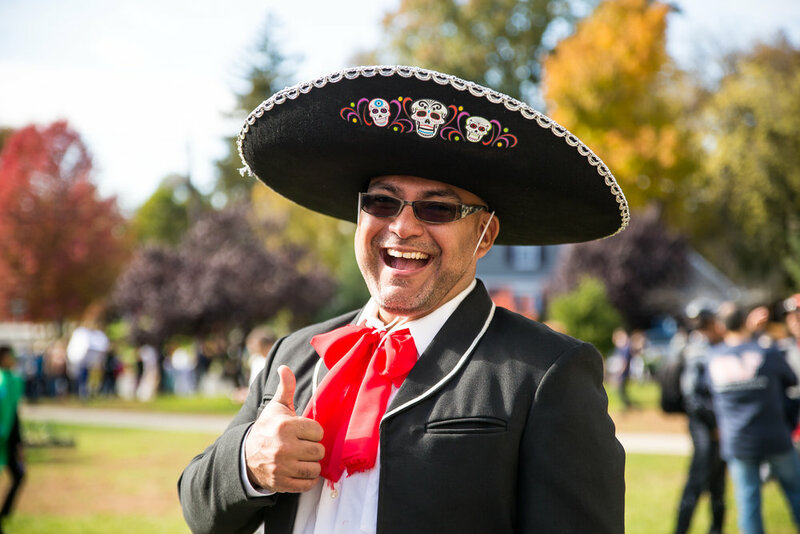 We love Maplewood and South Orange, NJ, photography, everything local, and are excited to share it all with you! Questions or collabs? Contact us.